If you start out playing small stakes games, as most poker players do, you’ll likely see a lot of erratic play that is not consistent with what you are learning about good poker strategy. This is because you are playing with a lot of inexperienced players, and also some for whom the money at stake is not significant enough to induce them to put effort into playing well. Such erratic behavior often leads to the mistaken belief that these players could have anything, and that there is therefore no sense in trying to read their hands or make plays based on judgments about what they may hold. However, throwing up your hands in frustration will mean a quick dead-end to your poker career. Instead, you should take a deep breath and realize that information is everywhere — you just have to know what to look for and what to do with it when you find it. In this two-part article I will address hand reading specifically and make some suggestions about how you can glean information even from the seemingly erratic and random behavior of your least sophisticated opponents. Their reasons may not be your reasons and their reasons may not be good reasons, but unless they are literally throwing a die to determine their actions or going all in blind every hand then there is some method to their madness. There are some hands they’ll fold, and there are some hands they’ll never fold. Your goal is to find that method, or at least deduce enough about it to figure how to exploit it. More on that in a moment. The second misconception has to do with the term “hand reading,” which is really a misnomer. You may have seen Daniel Negreanu on television naming the exact suits of the cards in his opponent’s hand, but that’s not your real goal. Once you learn to frame questions regarding what your opponents might have like this, a little bit of information can go a long way. Let’s look at an example. Suppose that you raise with in early position, and several very loose players call you. We’ll stop right there — what can you say about their ranges? This is a situation that often leads to frustration and complaints about bad play. When your opponents play half of the cards they’re dealt, how can you ever figure out what they have? You can’t, at least not with any precision. But you can probably say a couple of important things about what they don’t have. For example, most players will reraise with or better, so the fact that no one reraised means you probably aren’t up against those hands. That eliminates some significant threats for you after the flop. Perhaps you can also say that although these players will play any remotely suited or connected hand, they won’t call with unsuited garbage like . 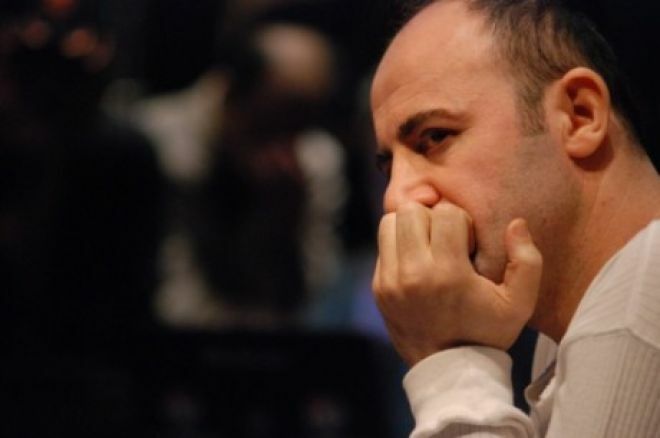 After all, players who will call with half their hands still fold the other half, and what could that folding range look like if not unsuited, unconnected junk hands? With nothing more than those tidbits of information, you see the flop, and it’s a great-looking , giving you top pair, top kicker. But still, with four or five loose players seeing the flop along with you, isn’t there a danger that someone has outflopped you? Yes, but the situation isn’t as grave as it seems. Let’s return to the little bit of hand reading we were able to do preflop. Remember: we still have no idea what your opponents have, we just have a rough idea of what they don’t have. You don’t have to worry about overpairs, because we think or would have reraised. Likewise with , not to mention that there are only two queens left in the deck. You also don’t have to worry too much about an odd two-pair hand. Even if your loose opponents will play any two suited cards, they’d be hard-pressed to make two pair here. You hold the , and the and are on the board, so to have top two pair someone would have to have exactly . They could also have or or . Sets are a slightly bigger worry, even though we’ve discounted . Your opponents are surely calling with and preflop, of which there are six combinations each given the cards on the board. All in all, then, there are 16 combinations of hands that could realistically be ahead of you right now, compared to hundreds of combinations with which your loose opponents would see the flop. Perhaps you can see now that flopping two pair is like finding a needle in a haystack! Importantly, though, we’re less interested in whether you’re ahead now than in whether you will be ahead if more money goes into the pot. So we need to think not just about ranges for seeing the flop but about ranges for putting a lot more money into the pot on the flop. That will be the subject of the second part of this article. Be sure to check out Andrew and Nate Meyvis on the Thinking Poker podcast, and for strategy articles, reviews, and more from Andrew, check out the rest of The Thinking Poker website.